The fighter community has dirty laundry — there’s absolutely no denying it. Their world has been turned inside out for the mistakes of an incredibly small percentage of the people flying fast jets. However, the careers of some of the best people and the best combat leaders of our time were destroyed by a few questionably-motivated individuals who know nothing about leadership or what it takes to deliver the air dominance they thoughtlessly take for granted, and I make that statement without apology. Please don’t misunderstand me: I do not condone the crimes that were committed against Smith and others. I firmly believe that those responsible for those offenses should be held accountable and prosecuted to the fullest extent possible by the UCMJ, whether those parties are still in the military or have moved on to civilian life. There’s no excuse for behavior that knowingly and purposefully degrades another person, in private or in front of their peers, or results in a crime of physical and emotional violence. There is a line there and when one crosses it, that individual should be prepared for the consequences. Period. But if we’re going to be throwing the book at folks and making an example of them, can we at least make sure we’re crucifying the correct ones? “Vegas,” “Rocket,” “Mach,” and “Shooter” step to their aircraft in preparation for an Airpower Demonstration at Shaw AFB, SC. Six of the officers who were assigned to the 20th Fighter Wing at Shaw have received disciplinary action: letters of reprimand or counseling, follow-on assignments pulled or delayed, and early removal from current assignments. In today’s environment of “zero defects” within the Department of Defense, those in positions of leadership at Shaw when the plight of Smith made the headlines were the easiest targets. Keep in mind that none of those men were commanding squadrons at Shaw when the alleged offenses occurred. Someone had to pay, right? So let’s take great men and fantastic leaders with recent combat experience, experience where they and officers under their charge absolutely overwhelmed and annihilated their enemy and accomplished time-sensitive national objectives, and make them scapegoats for the rest of the world to see. Awesome job. Well done. “SHOT,” an F-16C Fighting Falcon pilot with the 187th Fighter Wing, Alabama Air National Guard. The fighter community is expected to carry out their share of this nation’s dirty work, and trust me, there’s nothing politically correct about dropping bombs on people, giving an enemy radar operator a tungsten kiss on the chin, or giving a MiG pilot the business end of an AIM-9X. Domestically, they sit on alert 24-7-365 waiting for an enemy to approach our borders, or for another situation like 9/11/01 to take place. Should a similar attack happen again, who will be the ones potentially shooting down an airliner full of innocent people to defend a target like our nation’s capital? Fighter pilots. When our ground troops are in trouble engaging the enemy in Afghanistan, who will roll in and deliver ordnance on the enemy position? Fighter pilots. Do you really mind if they have a beer in the squadron after the flying is done? Does it really matter if they use the f-bomb in a briefing? When ISIS is in the process of slaughtering men, women, and children in Iraq for nothing more than their religious beliefs, this nation’s fighter pilots are killing as many of them as possible to stop their aggression. Do you really mind if they throw a rowdy party or sing dirty songs in the bar after work? Does it somehow affect their ability to execute their assigned mission? “Stitch,” an F-15C Eagle pilot with the 142nd Fighter Wing, Oregon Air National Guard. Because of that “yes” from the clueless out there, fighter pilots will be under the proverbial microscope. As if 12-hour days, upgrades, TDYs, deployments, schools, and other specialized education (U.S. Air Force Weapons School, for example) aren’t enough pressure, right? The job is not easy. It’s not all fun and games and it requires the stamina of an ironman triathlete. I have tremendous respect for General Mark A. Welsh III, the current U.S. Air Force Chief of Staff, but to the largest degree, the man’s hands are tied. He’s only able to do so much to keep the USAF’s internal enemies in D.C. at bay and reverse the damage done by his predecessors. 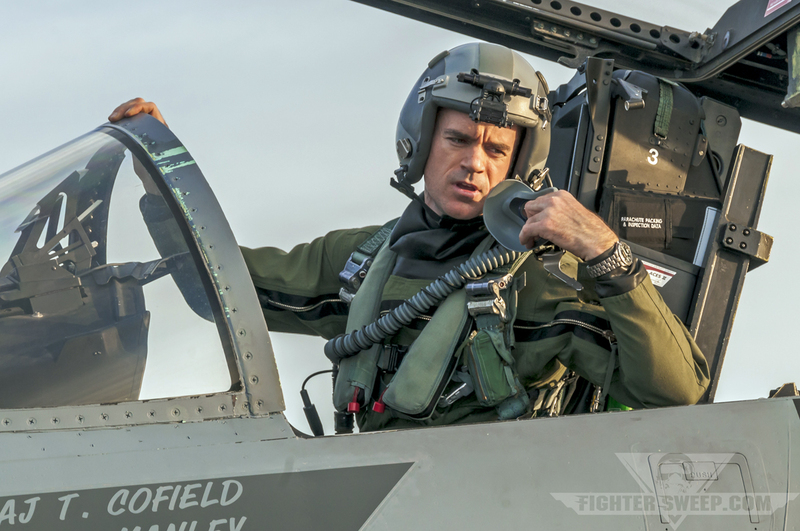 As a fighter pilot himself, General Welsh understands how important morale is in this community, and his efforts to help restore some of the mystique to the fighter pilot persona are reaping big dividends. Without push coming from the top, fighter pilots would continue the be just another bunch of guys and gals in green footie-pajamas, stripped of everything that sets them apart and makes them special. It’s unconscionable to me that some people out there, even some wearing U.S. Air Force uniforms, would prefer it that way. 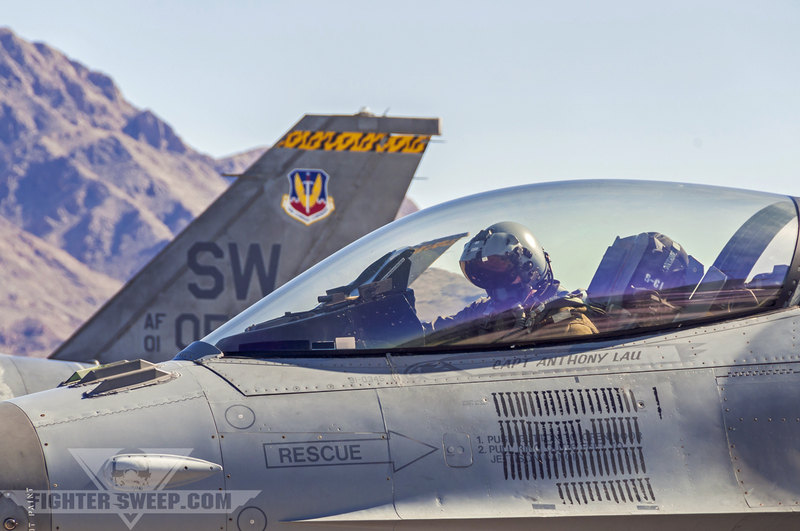 “Nails” goes through his pre-flight checks prior to launching for a Red Flag mission at Nellis AFB, NV. Put in long hours while doing your non-combatant finance job downrange? Here’s a Bronze Star Medal for your efforts. So you’re a non-aircrew NCO who stares at a scope all day long? 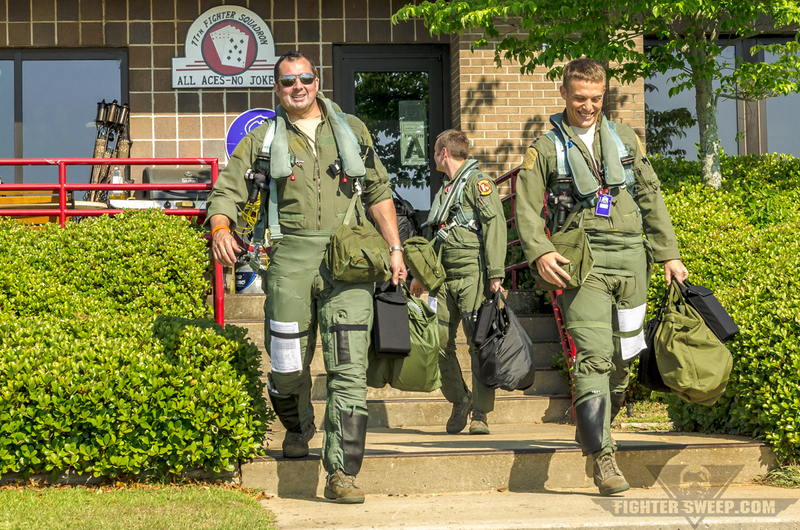 Your working uniform is now a flightsuit–complete with its own set of “special” wings. The list of completely asinine accommodations goes on, ladies and gentlemen. It’s like athletics for grade-schoolers – even though you didn’t do anything to earn it, here’s a trophy for just showing up. Congratulations. Is it any great mystery as to why the U.S. Air Force’s fighter community is hemorrhaging talent at such an alarming rate? Some may view this as insulting to other AFSCs, but hear me on this point: EVERYONE in uniform is worthy of honor, respect, and praise for what they do and I am very grateful to one and all; however, I do not for a second believe that it’s okay to strip away the uniqueness of ANY community, be they fighter, mobility, special operations, finance, space, cyber, or whatever…in an effort to make everyone else feel good about themselves. 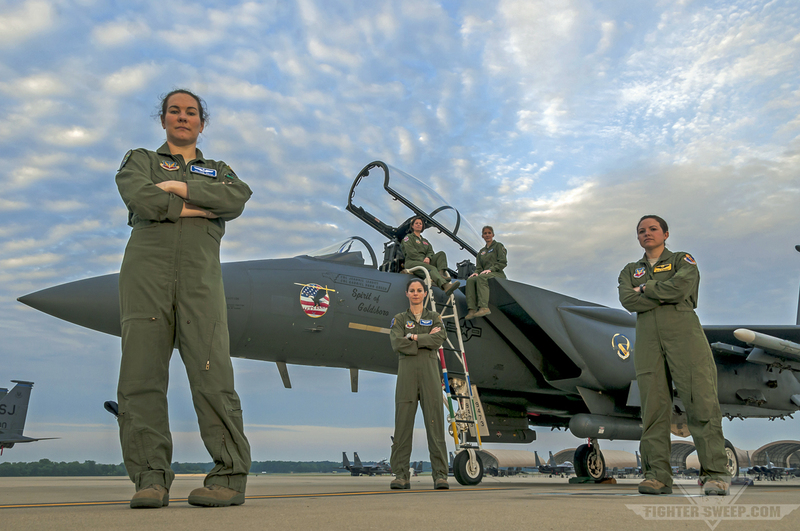 Female F-15E Strike Eagle pilots and weapon systems officers (WSOs) at Seymour Johnson AFB, NC. The culture that thrives in the fighter community is special, and it was fostered by men like General Robin Olds. Without that culture, the brotherhood and sisterhood (God bless the CFPA!) that fighter pilots share would cease to exist, and the results they’ve delivered over the last 60 years would also abruptly end. It would, in effect, deny today’s fighter pilots to celebrate their rich heritage and carry forward the legacies of greats like “Bud” Day, “Boots” Blesse, “40 Second” Boyd, and others. These men and women need to have the ability to beat the hell out of each other in debrief, and yet share some fun times together so they know, without question, that when it comes time to FENCE IN, they have each other’s back. Not exactly your Monday through Friday, Nine-to-Five kind of existence, is it? As long as there are fighters to fly, fighter pilots will fly them. Their culture will carry on, and I will continue to believe that the best thing about flying fighters has nothing to do with flying, but everything to do with the pilots who fly them. They can take the booze out of the squadron bars, they can force pilots to push their sleeves down and wear green boots, they can forbid the wearing of Friday shirts and morale tabs, but they will never kill the spirit of the fighter pilot. Have Questions? 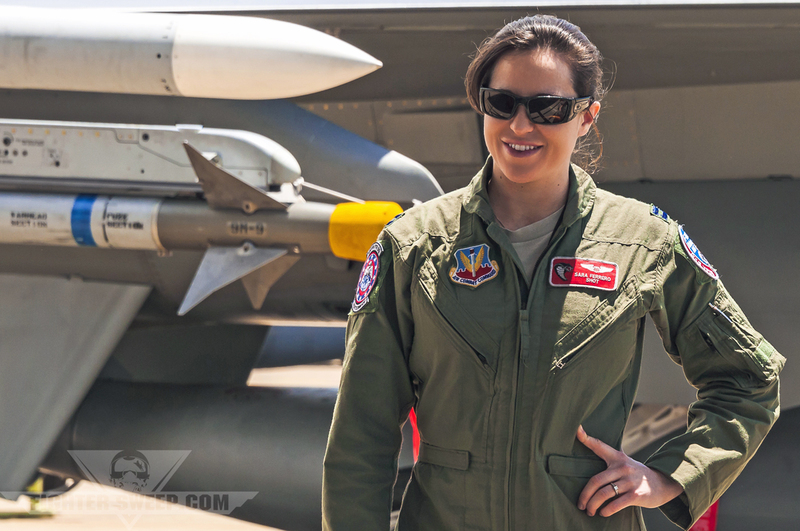 Ask A Fighter Pilot!